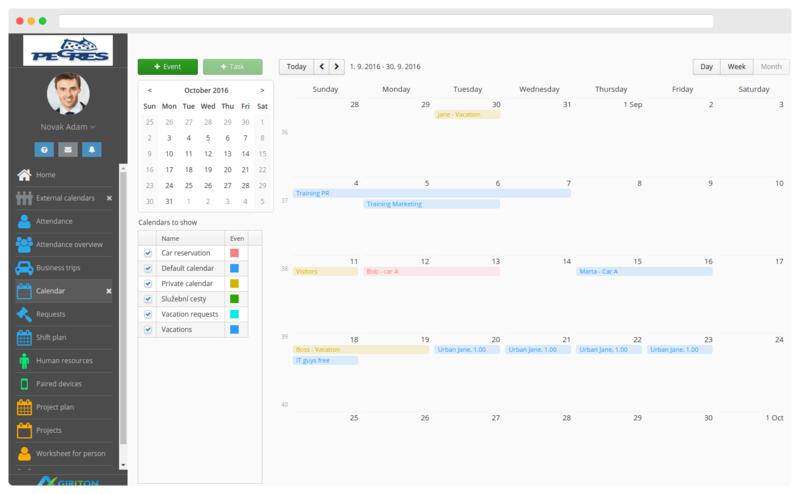 With our cloud app you work directly from your web browser and it is not necessary to install any additional software. Requires no user training to use basic and even the advanced features. Own attendance activities? Arrival rounding? Own calculation for overtime? Not a problem! In addition to traditional PDF reports we export to Excel and other formats. 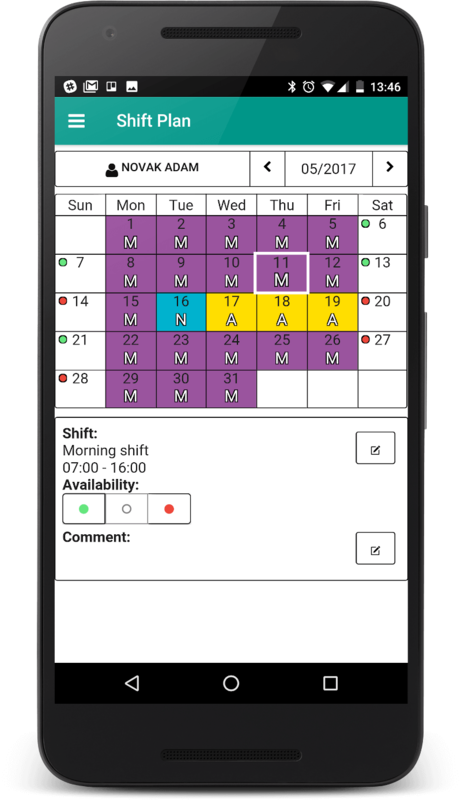 Our application My Attendance is here for your employees in the field. 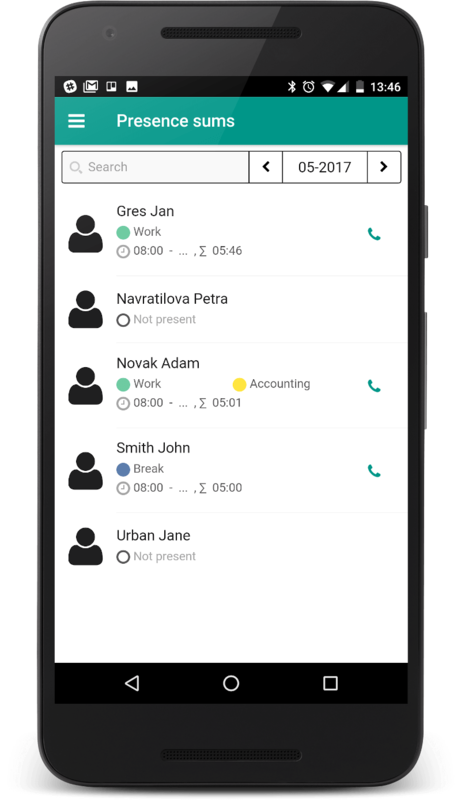 Users can record their own attendance with their smartphone. 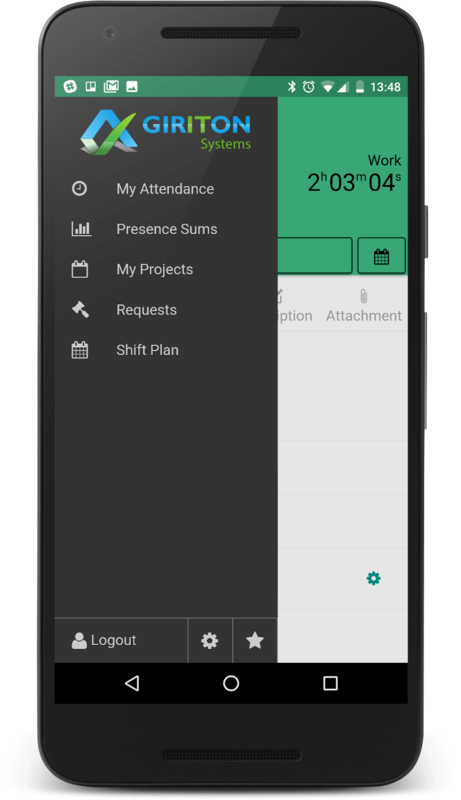 Depending on permissions users can also browse or edit attendance of others, apply for attendance changes and review the shift plan or the project plan. The current GPS position can also be attached to the attendance. 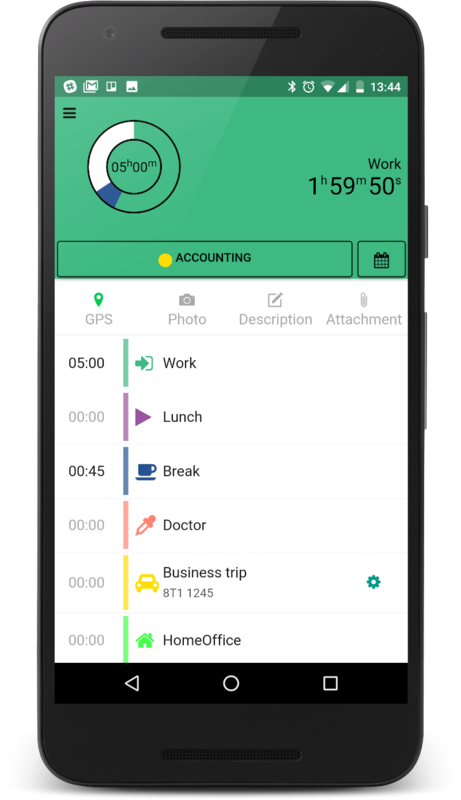 During the business trip, the GPS position can be recorded continuously. Pictures can also be attached. You can add a selfie or another photo proving your presence when entering attendance. You can easily send a request for a vacation or a doctor. The supervisor then approve that from a mobile or PC. 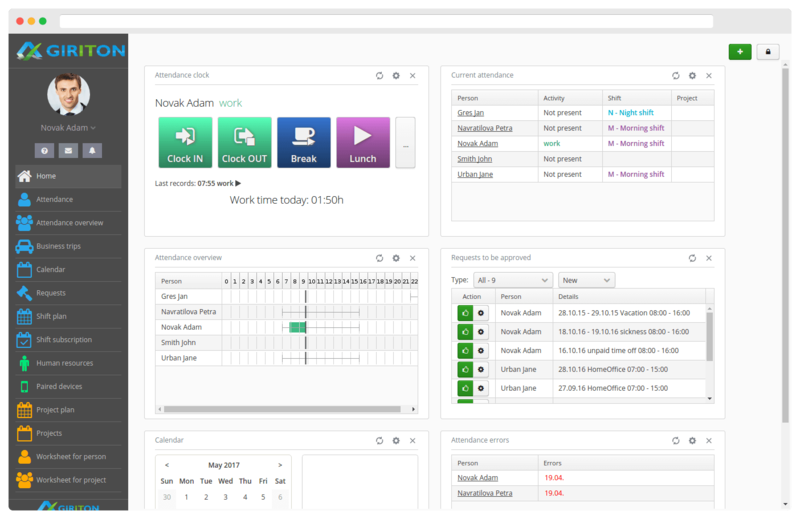 Work time on particular projects can also be recorded. 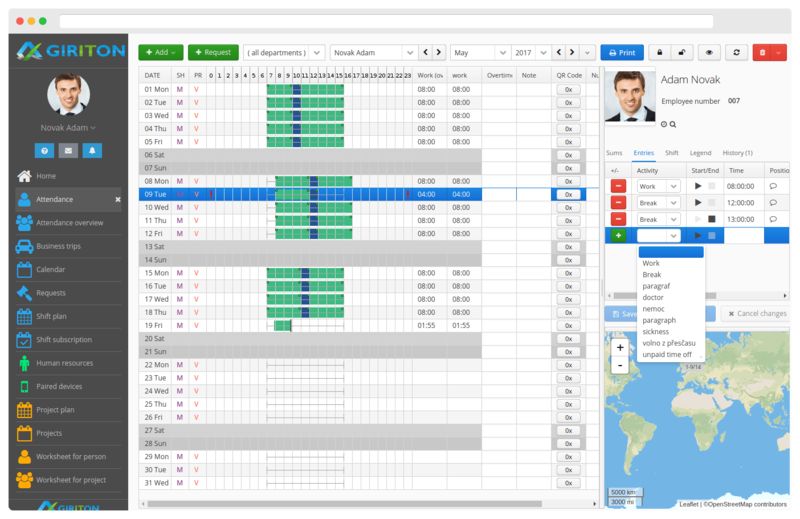 The project you are currently working on can be quickly switched by one click. 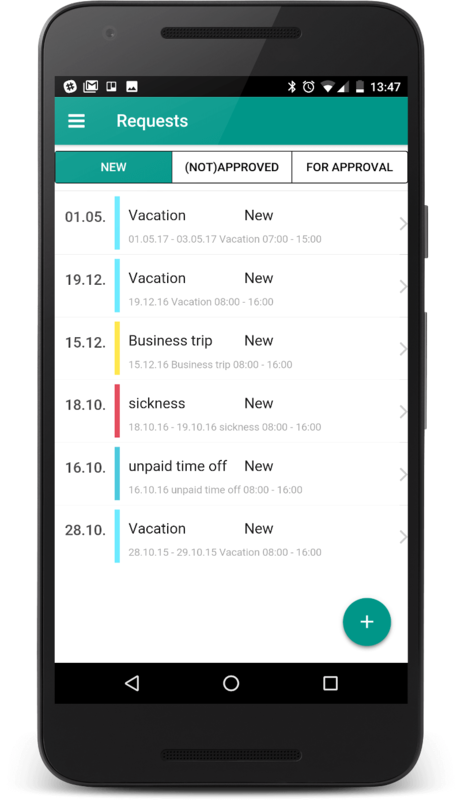 Your shift plan can easily be viewed or changed from your phone. 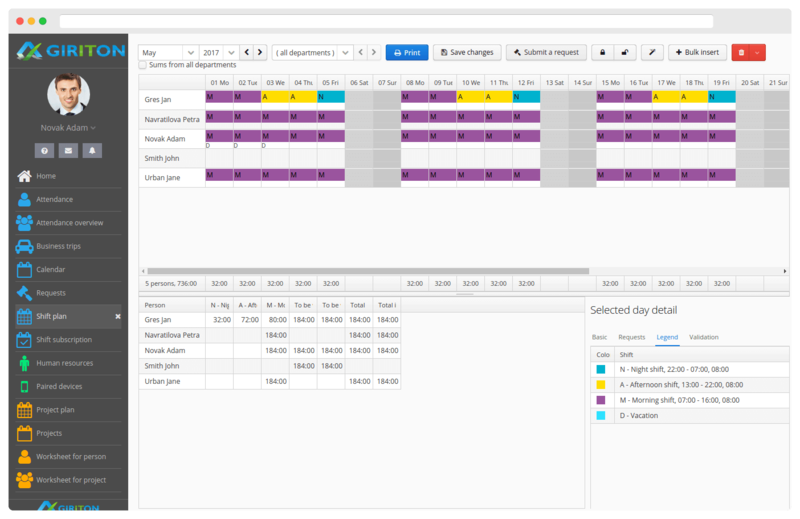 Depending on your permissions, you may also access a shift plan of your whole team. 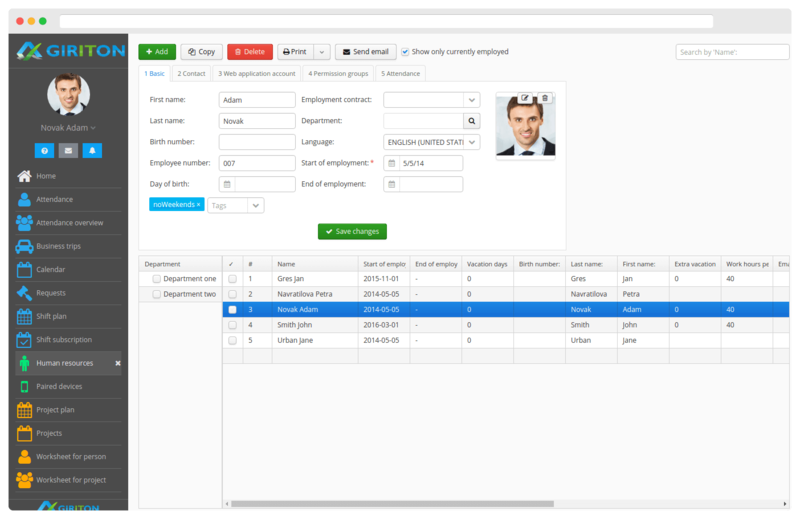 The supervisor can see attendance information of the whole department. It is clear who is currently present at the workplace. Users are identified by the Magnetic Card, RFID, and NFC chips, or by QR codes and Personal password. When clocking an each event, it is possible to take a photo of the person and record the GPS position. Attendnce clocks with an RFID reader 125kHz or 13.56MHz cards/chips are used where biometrics is not required/allowed. The device has WiFi and LAN connection, large 7" or 10" touchscreen display and also features a camera. Biometric attendance clocks read fingerprints in addition to the 13.56MHz RFID chips. It also offers a WiFi and LAN port, a SIM slot and next to the 5' touch screen there is a front camera. 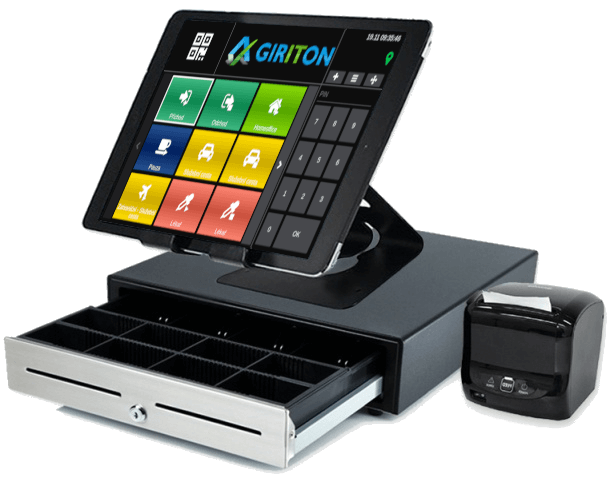 You can run the Attendance Clock GIRITON also on any tablet, PC or POS terminal. For devices with a built-in NFC chip reader, you can use chips to click in. If the device has a available USB port, you can also connect the RFID reader to your device and use the chips. We are constantly working on improving the GIRITON. Here on our blog you will always find the current list of news and things we have added to the system. 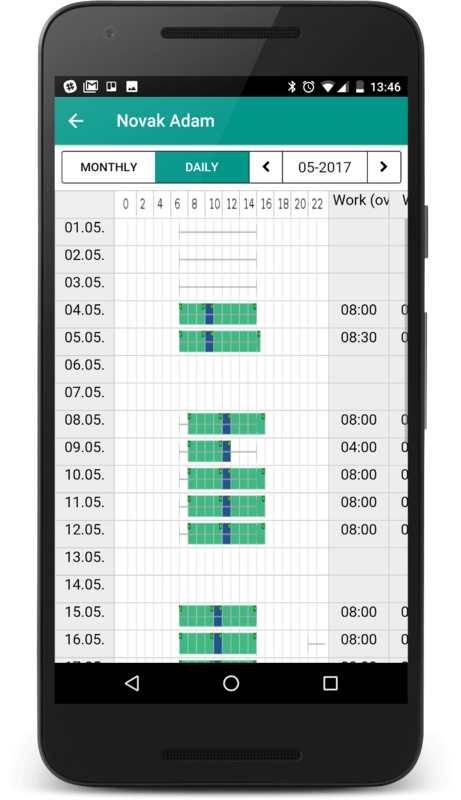 New Planned Task "End employment for inactive users"
In My Attendance on mobile for business trips, set "From Where - Thru - To Where"
You can set the length of the camera live stream for QR codes scans to Attendance Clock. GIRITON Systems s.r.o. is a young company with experiences in business-information systems. We focus on modern cloud systems and apps for smartphones and tablets. The company GIRITON Systems s.r.o. is registered by the Regional Court of Ostrava, Section C, record 37041.